Of course, there are moments of a worse mood, especially now that he is in his early teens, but if I were to characterise him in one word, that would be “smiley” 🙂 And I wanted to document this in my layout. I do hope my son would always have a reason to smile! Other: stamps: Tim Holtz; flowers: Wild Orchid Crafts, Prima; molds: Prosvet; art clay: Martha Stewart; cotton ribbon: Prima; buttons Dovecraft, glitter ink: 13@rts. And that’s all for today, see you soon! Though it’s not the classic clean&simple page, I still like the way it turned out – light and fresh 🙂 What do you think? 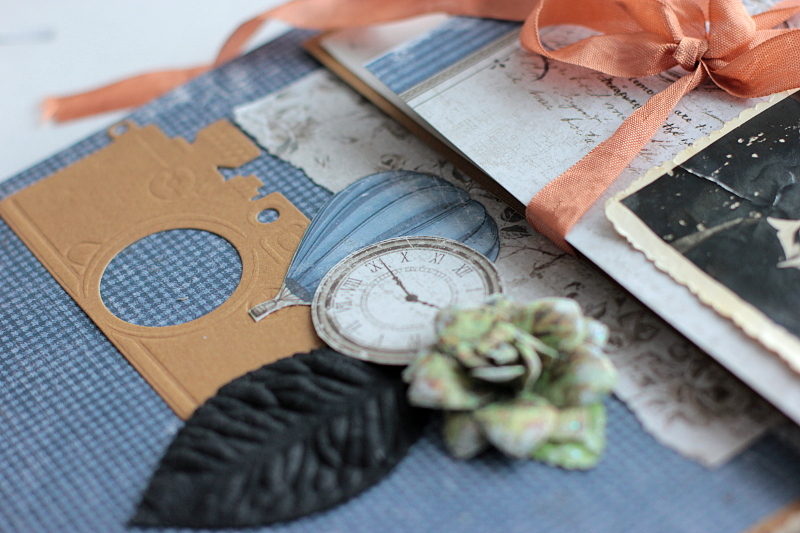 Other: die: Kesi’art; stamp: My Favourite Things; flowers: Prima, Wild Orchid Crafts; stencil: Tim Holtz; chipboard: Wycinanka, button: Lemoncraft; wing mold: Prosvet. today I have a very special project to share with you. 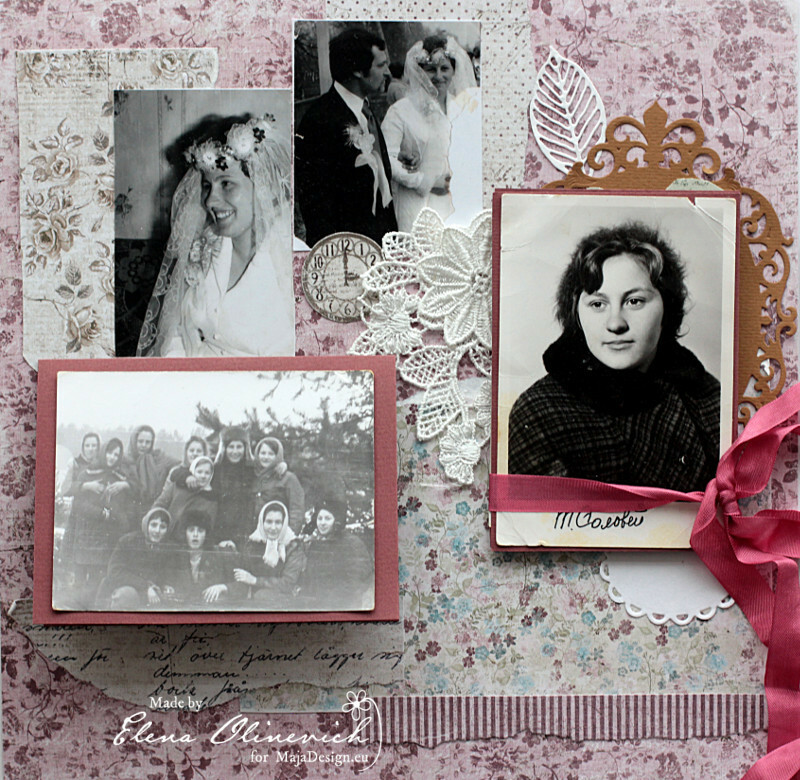 Actually I prepared another creation for my blog post, but last week my Grandmother has died. She was 90 years old. 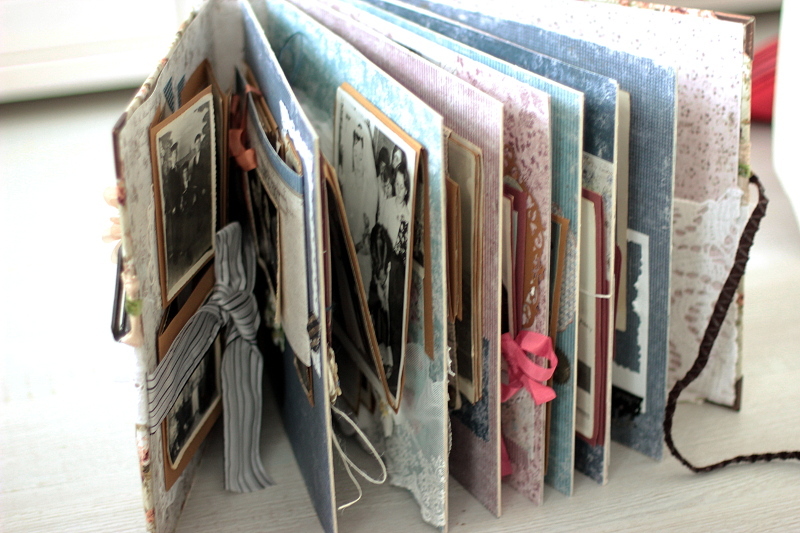 And before hear death I made a huge family album for one of my friend, for her Granny who had an anniversary. They took all her photos , collected during her life and asked me to make a beautiful album and put it all those old pictures , about 200 of them. So I didn’t plan to share this album , but I have been thinking a lot about the family and old people these days. 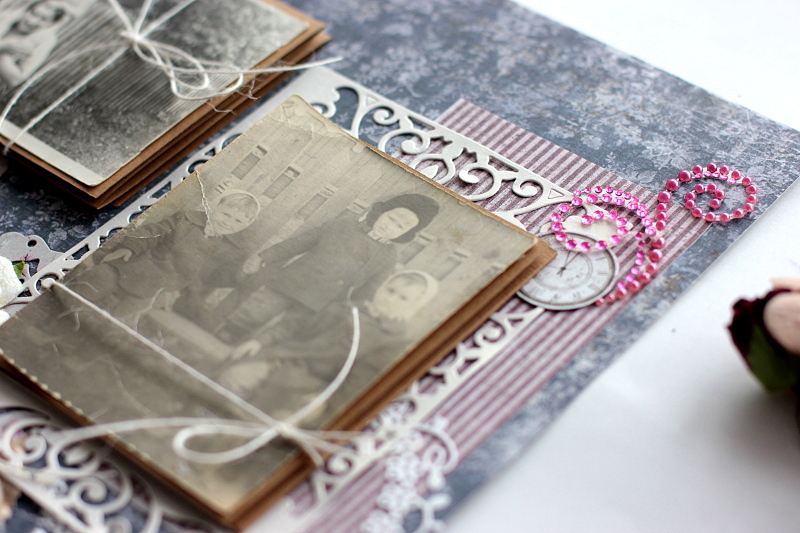 I have a stong wish to collect all my family phots and especially of my Granny. I need to make an album for us, to keep her alive in our mind. 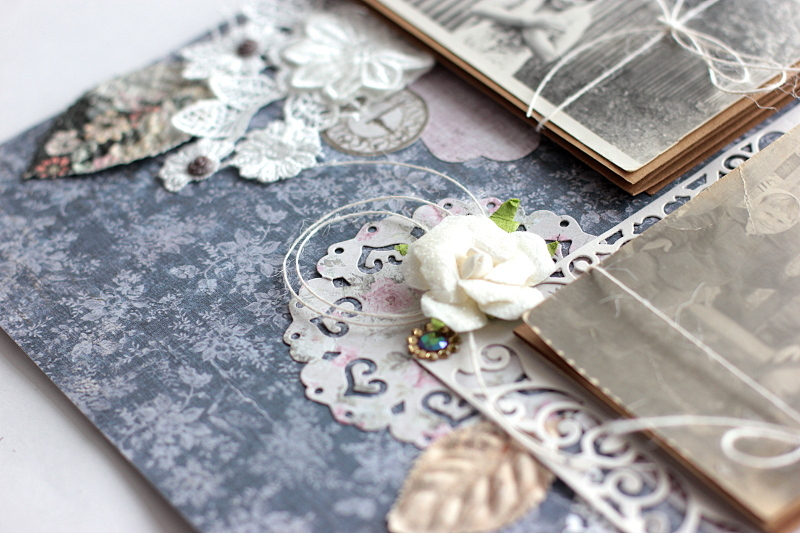 So that’s why I would like to share some of the pages from the album I’ve made for my friend. Not all of them, but just some . 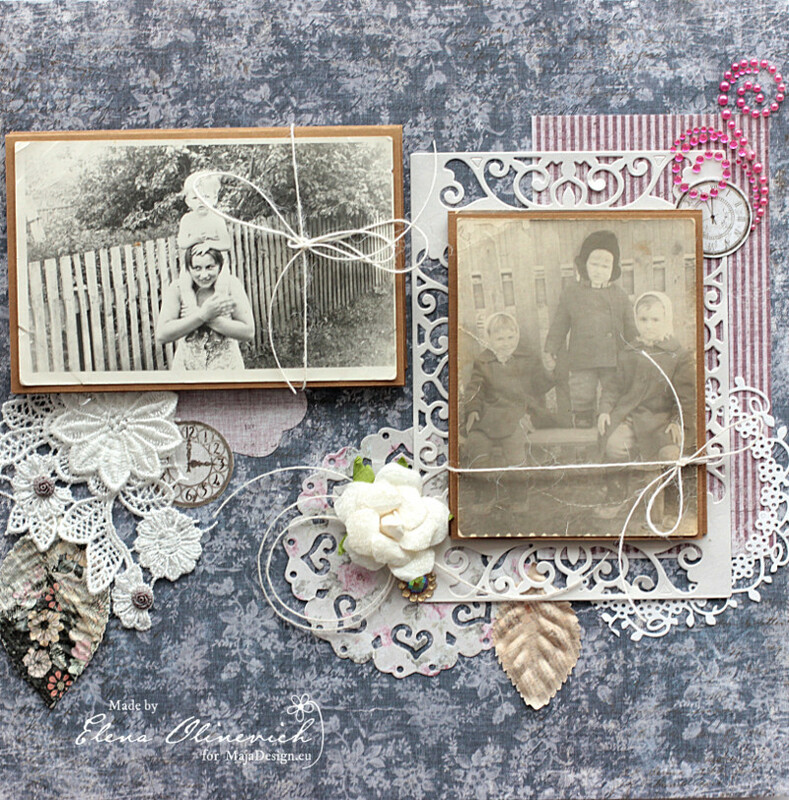 and you know what, Vintage Autumn Basics is a perfect collection if you want to find a perfect match for the pictures taken late 1890ss and teh first half of 20 century. I didn’t add many of the embellishments, such as flowers or any dimensional one, as I wanted to keep more space for tons of the photos. But I made several dies and paper strips. 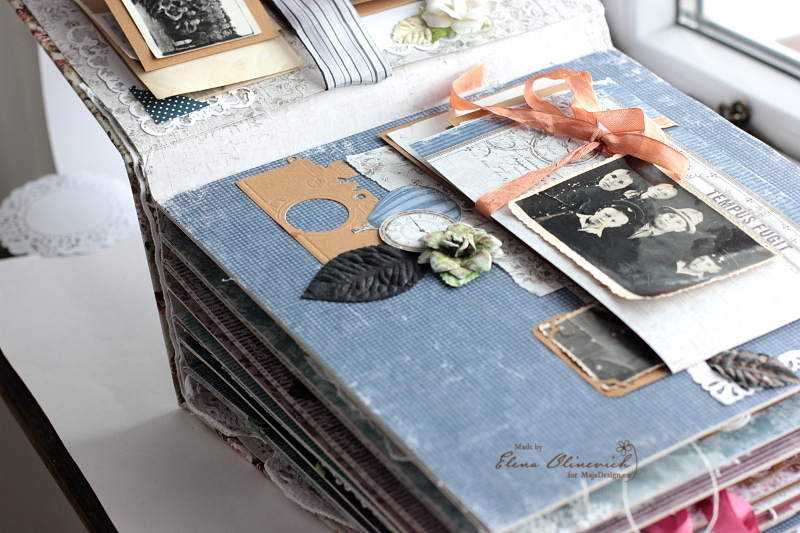 The pages look simple, but they show the rich and beautiful Maja papers, so vintage, dark and from those days. Products used : Vintage Autumn Basics .